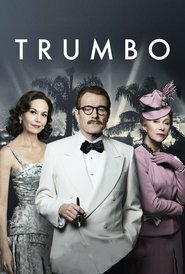 TRUMBO provides a very interesting insight into the effects of the blacklist on people — including their families and friends. It is tragic to see how paranoia can be so oppressive — even in the “land of the free”. The acting is excellent, particularly that of Bryan Cranston (Breaking Bad) as Dalton Trumbo. There are some great characters in this one. The story is very dialogue driven but moves along at a great pace for most of the movie — a touch of a lag in the middle. Trumbo was obviously a very witty man and this comes through strongly in the movie. I really enjoyed this one and learned a lot. An entertaining look at a very serious period in American history.